Guys! 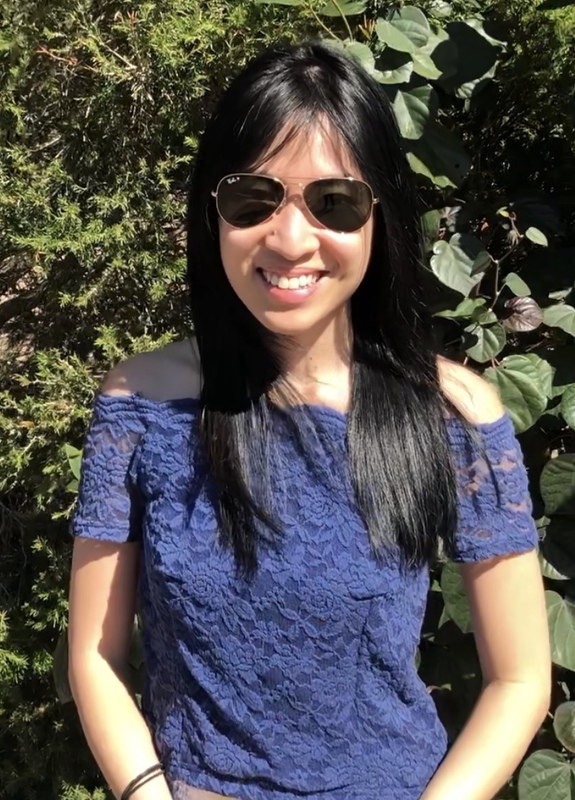 I am finally getting this post up after a year and a half of procrastination since my Honeymoon. We first visited Hawaii in April 2017 for our honeymoon and it was the best decision ever!! I couldn’t believe it when after 1.5 years, we were on the plane back to where it all began! 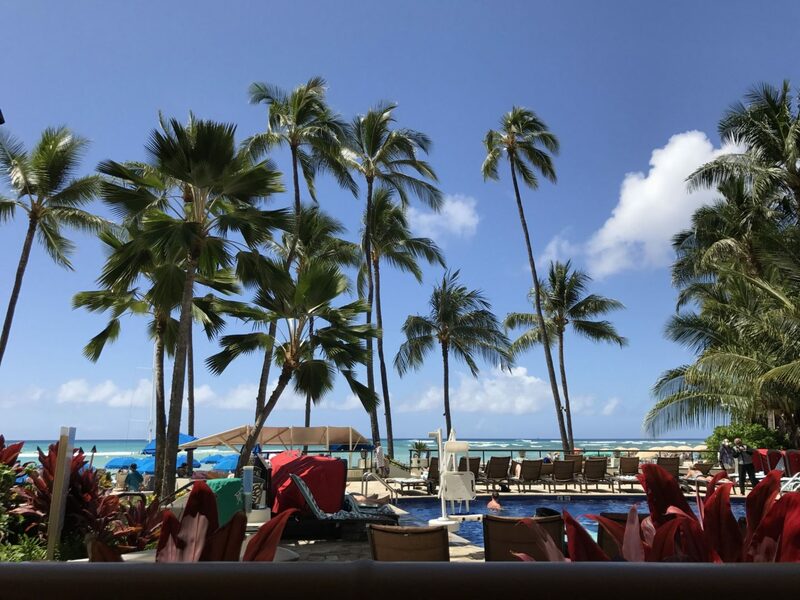 Since everyone has been bugging me, I decided to write a post on the Top things to do in Honolulu (oahu). Don’t worry guys, I’ll have a separate Top things to EAT in Honolulu as well as Maui coming up for you! 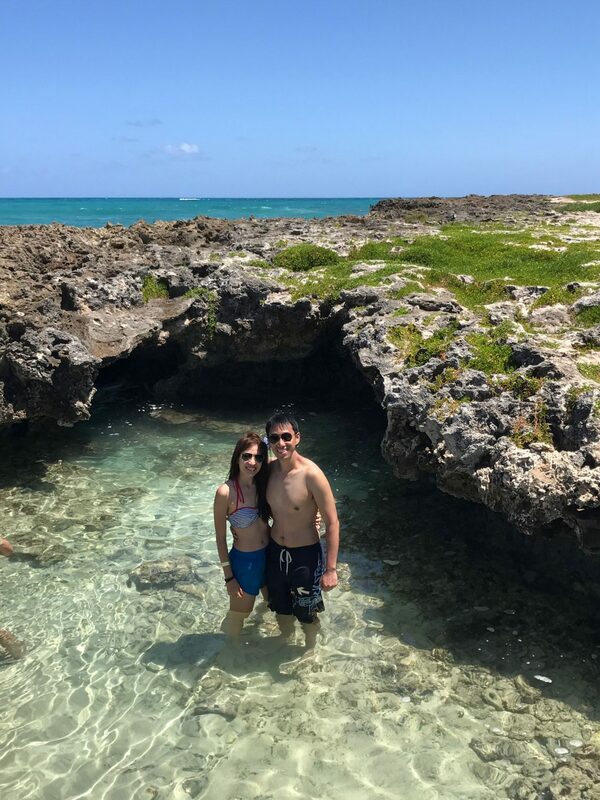 As each island has its own uniqueness, choosing which island to visit all boils down to what you want to accomplish out of your trip – romantic, adventure, volcanoes, scenery, whale watching, hiking etc. There are quite a number of sites that offer quizzes to help you narrow down the islands based on your preference. After doing it, we had Maui and Oahu. 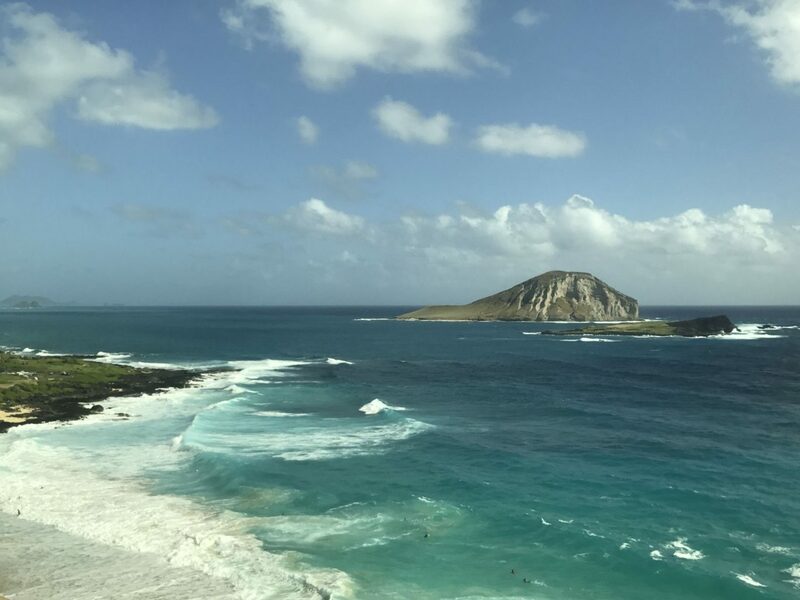 Oahu– This is the most popular island in Hawaii. Majority of Hawaii’s population live here so it’s like a melting pot of culture, entertainment. This is where the fun comes to live. 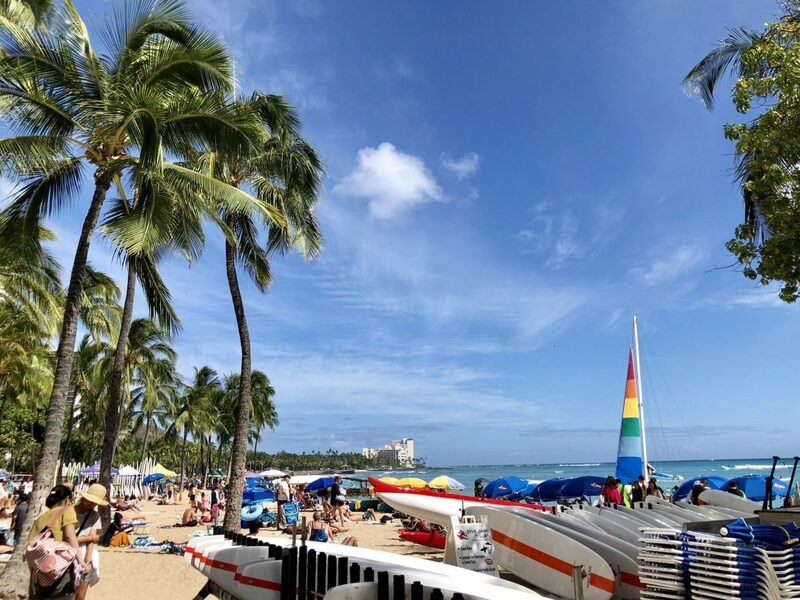 The all famous Waikiki Beach and Pearl Harbor Museum can also be found here. HAH! At least something rings a bell doesn’t it. Maui- Home to one of the best beaches in the world and the second largest island in Hawaii. It is also a great place to whale watch, hop on a helicopter and snorkel. 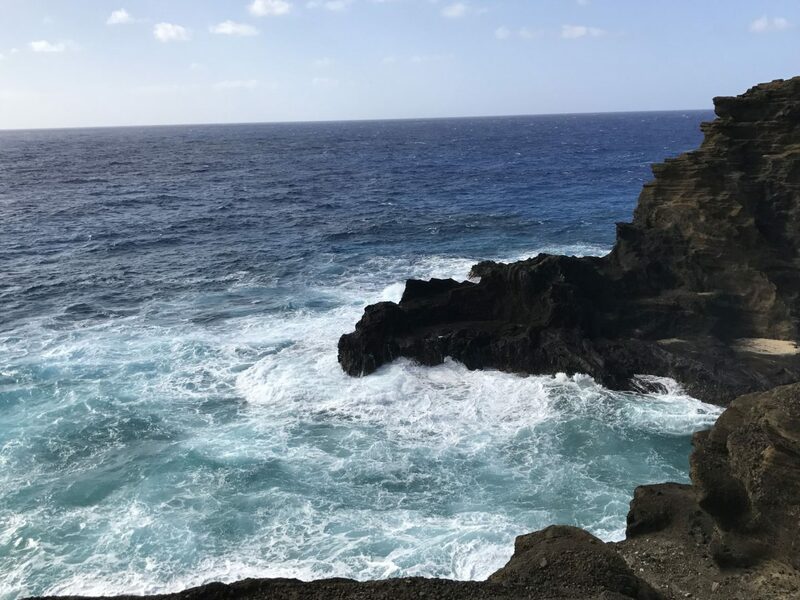 Kauai– It is known as the Garden Isle or the Grand Canyon of the Pacific. It has one of the world’s highest cliffs and is known for their coastal trail along the North coast. Molokai and Lanai– Least populated islands but rated as an ecologically sound destination. I guess if you want a perfect meditation getaway, this serves its purpose well. Sorry if I bored you with history, I shall now jump straight to Pictures. After all a picture paints a thousand words. 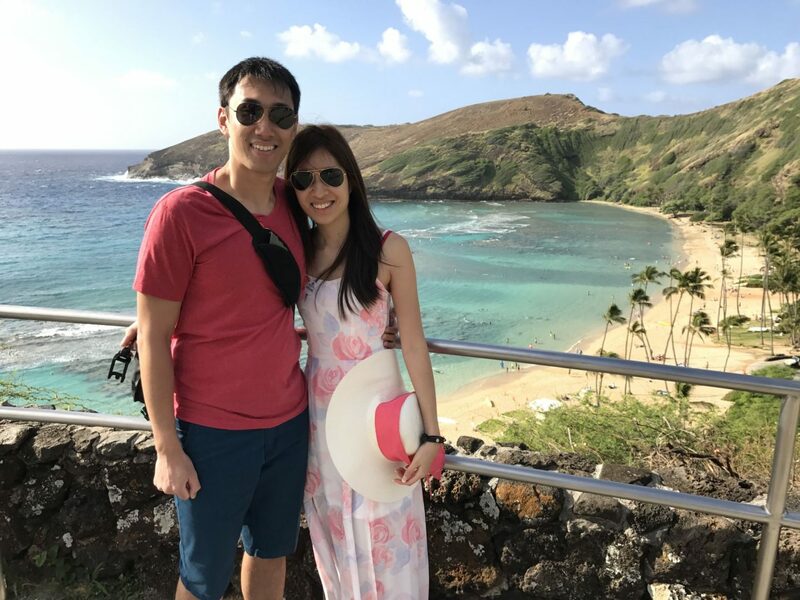 We visited Honolulu (oahu island) and Maui. 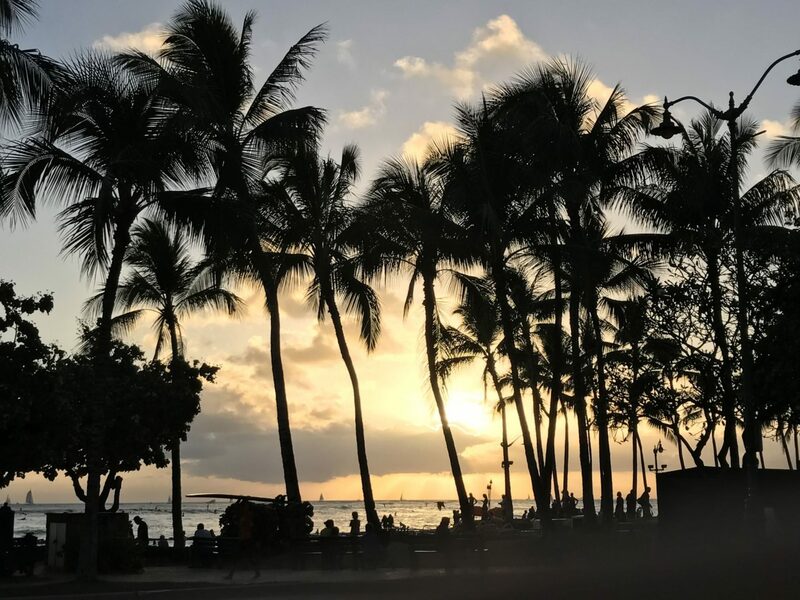 Here are my top things to do in Honolulu (oahu). 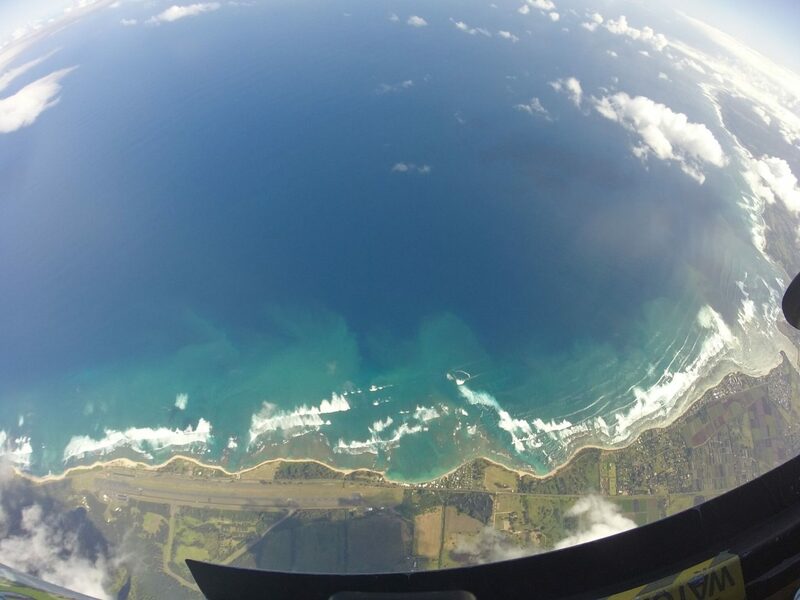 We decided to go with Skydive Hawaii because the view is just amazinnggg.. Call us crazy but that was the first activity we did in Hawaii. Talk about starting our honeymoon with a bang!! 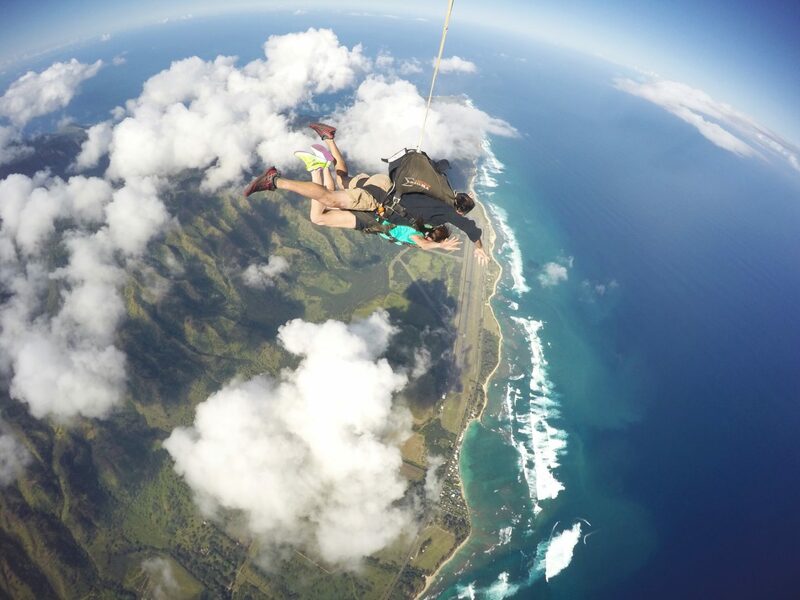 Imagine touching down in Hawaii after a long haul flight, checking into our hotel and BANG skydive Hawaii here we come. All my tiredness and jetlagged disappeared the moment we reached the area. To be really honest, I started panicking when I boarded the plane ( Yup that is how much I dread sitting planes). The rest of the ride up was more breathtaking than scary. Like I said. Fear is psychological and it takes more than courage to overcome it. Looking back, the day I took my first jump out of that freaking plane was insane. The first few seconds of free fall was liberating but after that all I could feel was the strong gush of wind in every direction and then suddenly my crazy videographer was infront of me encouraging me to do silly actions. Definitely memorable and one thing off our bucket list. 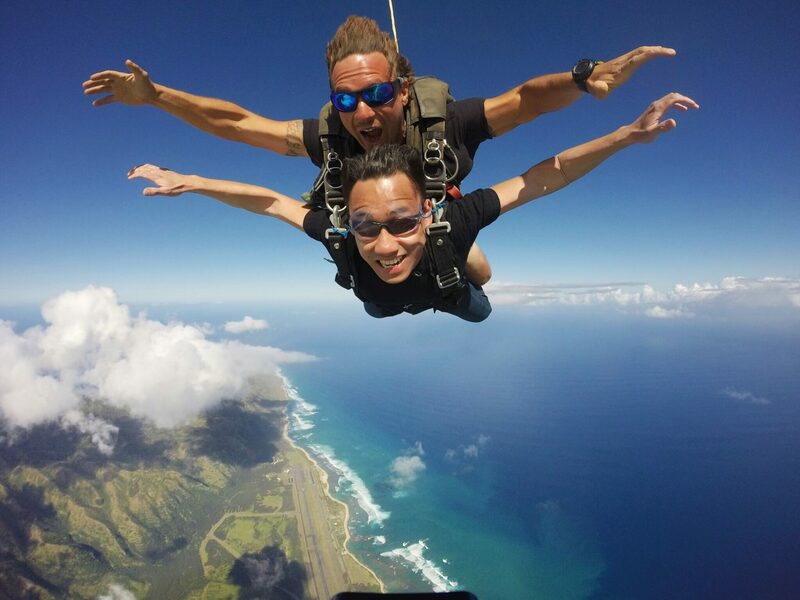 If you are intending to skydive in Hawaii, Do it! The view of the North Shore is even nicer from the sky than on a cruise or land. A trip to Hawaii is not complete without enjoying a traditional Luau. 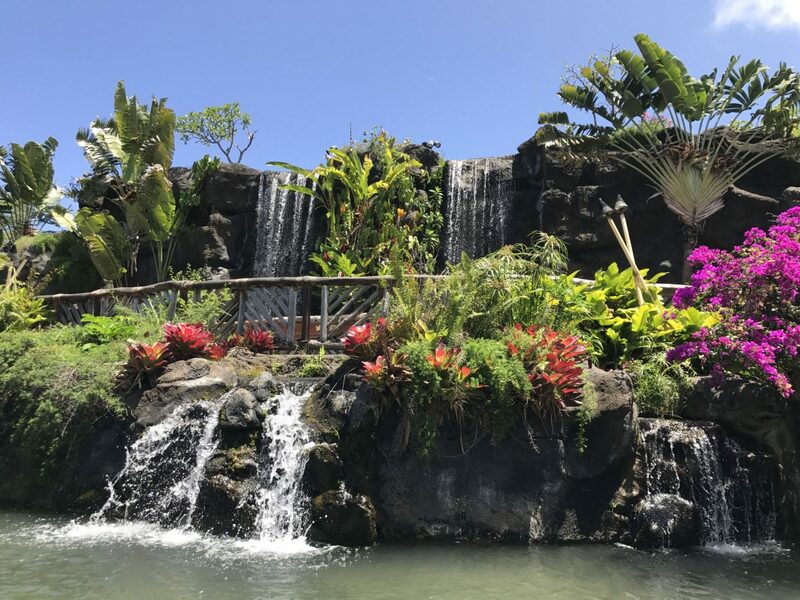 After reading up fantastic reviews of the Polynesian Luau, we decided to engage a day tour with Robert Hawaii. The day starts at 1030am and we got to learn about the Polynesian villages, culture and way of life. In the evening, we got to enjoy a sumptuous Luau dinner of traditional poi, Kahlua pork, mahi mahi and Haupia. At the same time, there was the’ HA: Breath of Life’ show and performance, to accompany the meal. Truly an eye opening experience. We engaged Robert Hawaii for this grand island tour. 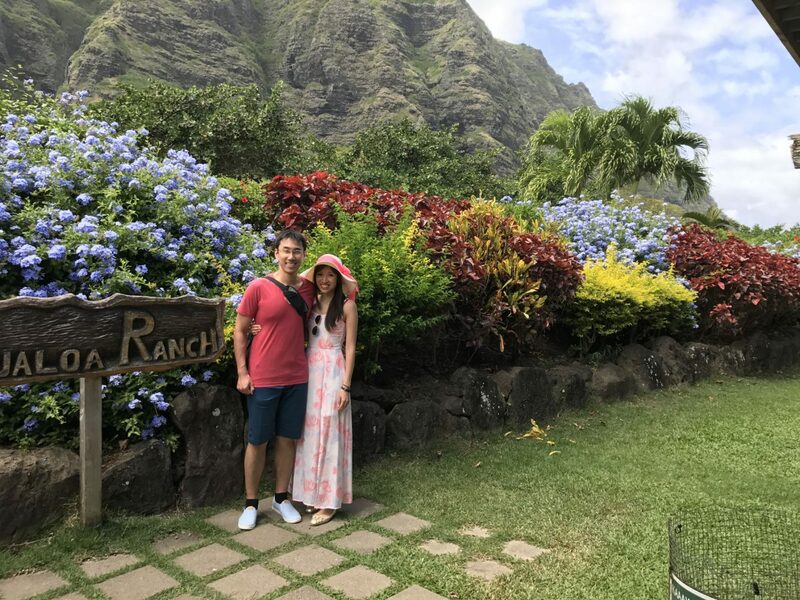 It took us around all the famous sites on the island of Oahu. Definitely bring your camera on this one. One hiking site is the Diamond Head Trail at 760 foot. It offers a 360degree view when you reach the top and it’s relatively easier to climb to the top compared to Koko Head (Another hiking site but steeper). It takes about 50mins. Again, it’s popular for sunrise and sunset viewing. It was a fairly simple hike for us. Manageable and not too steep. Amazing sand beaches and clear blue water. 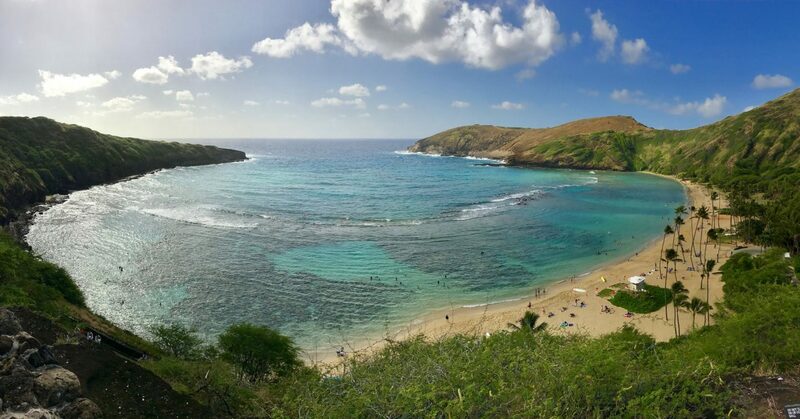 It will be a pity if you didn’t go snorkeling or swimming by the beach because I strongly recommend you to do this as one of the Top things to do in Honolulu. 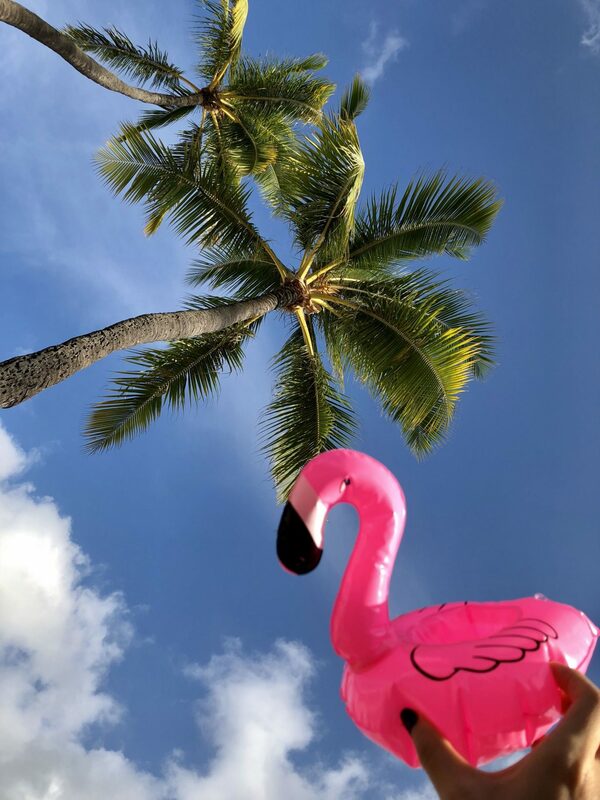 Buy one of those fancy floats at the masses of ABC stores along the Waikiki Beach and soak in the sun. It only cost less than $6 if im not wrong and they inflate the float for you. 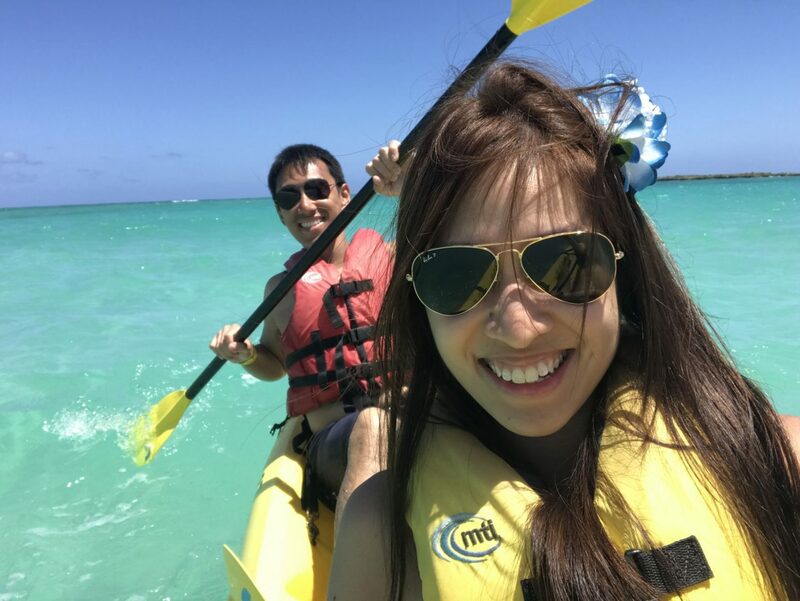 We did the Kayaking Tour of Kailua Bay where the water was pristine clear. 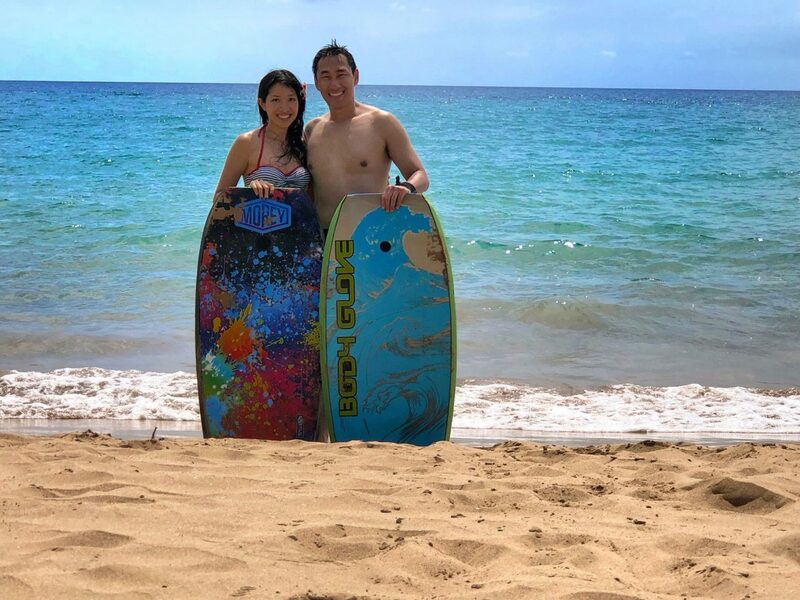 There are actually pretty decent waves at Waikiki Beach. Though a little crowded, the waves are perfect for body boarding. 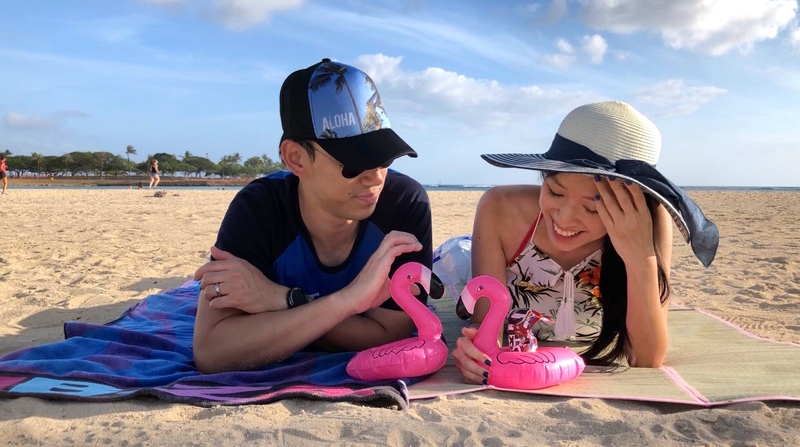 Plus if you don’t mind basking in the crowd, this will be a better location for doing this activity rather than the quieter side near Ala Moana. You can check out the North Shore beaches or the beaches near Ala Mona. They are less crowded and nicer. Buy one of those cheap picnic mats at ABC stores and you’re good to go! 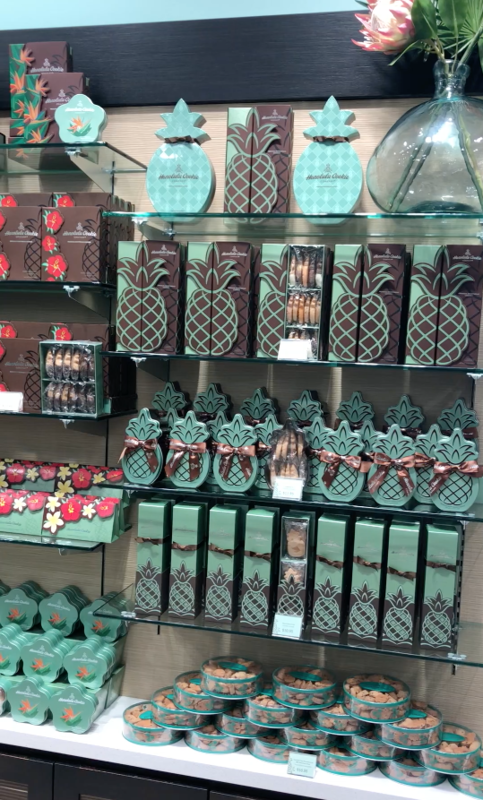 I know this is way outta context here BUT nobody leaves Hawaii without trying some of their famous pineapple shaped shortbread cookies at Honolulu Cookies Company. 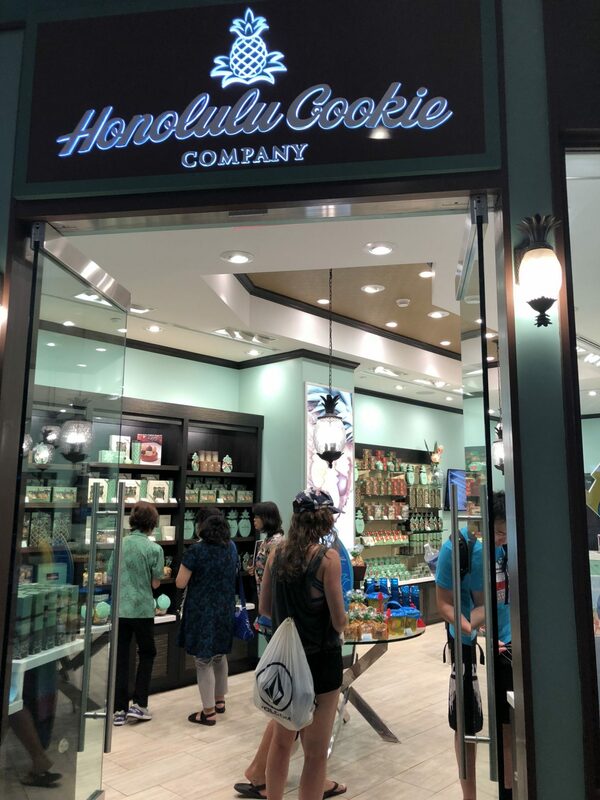 They have a lot of flavors such as Kona coffee, Coconut, pineapple, Dark chocolate, milk chocolate coconut, guava, lilikoi, Triple chocolate etc etc. My favourites were the triple choc, the lilikoi and guava hands down!! They have free samples so don’t feel shy to try them before purchasing. We bought so much back the last time, we totally went on a cookie strike. 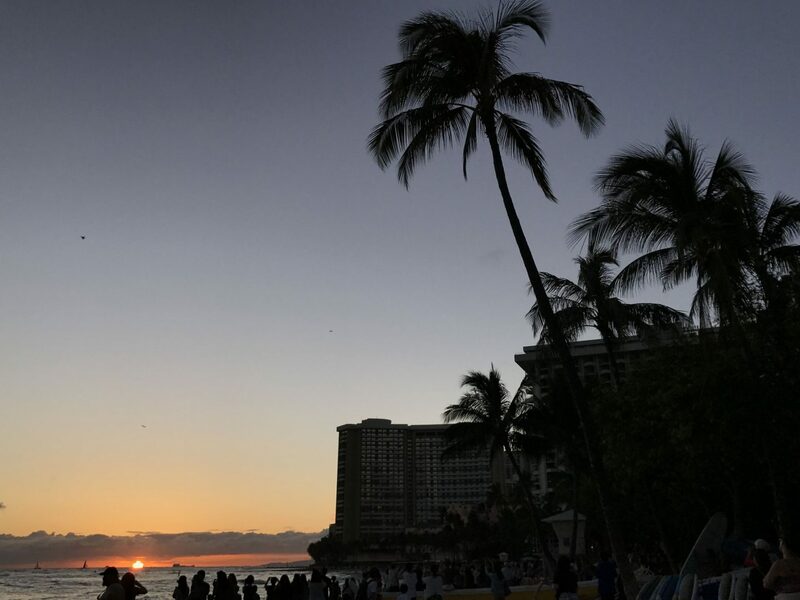 Did I mention that watching the sunset in Hawaii is so romantic? Haha Maybe because of the palm trees, the sound of the waves etc. So soothing to the ears. We watched the sunset almost everyday in Hawaii since our itinerary was pretty chill. You can rent a Mustang and enjoy the sunset as well. We drove along the coast and parked at a quiet spot just to see the sunset. It was amazing and peaceful. 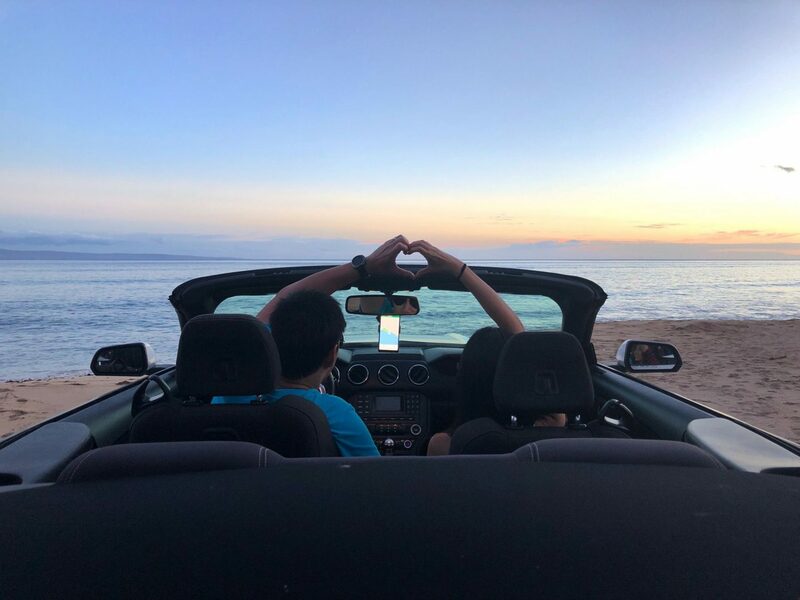 I’ll highly recommend renting a convertible in Hawaii. It’s one of the best ways to see the island.